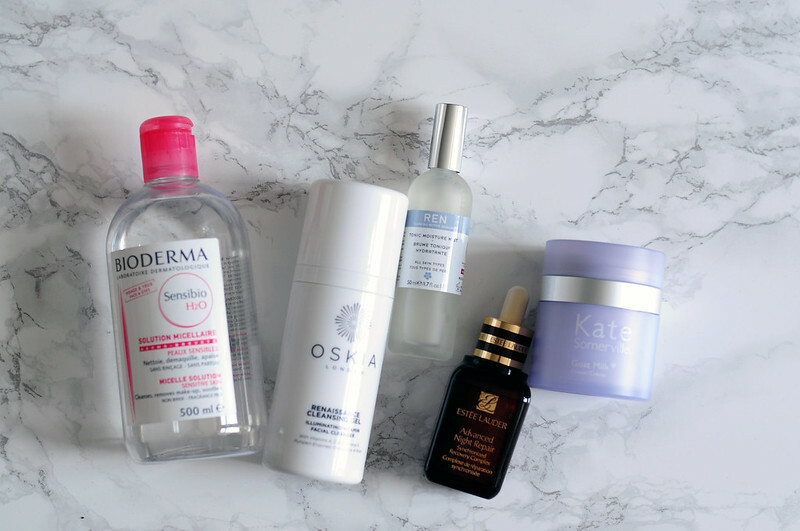 Bioderma Sensibio H20 Micelle Solution | Oskia Renaissance Cleansing Gel | REN Tonic Moisture Mist | Estee Lauder Advanced Night Repair | Kate Somerville Goat Milk Cream. This month skin care lineup is exactly the same as last months. I am loving this routine at the moment, this set of products and how they work so well with each other. After cleansing my skin, it is never left feeling dry or tight and I find the Oskia cleanser easy to remove completely. I don't know why I stopped using ANR after I first bought it, but I'm definitely making up for it now. I'm still liking the Goat Milk Cream, but I don't know if I'd repurchase when I run out. I'm tempted to try Nourish from Kate Somerville. I've also been using the Dior Creme De Rose lip balm this month, but I have packed it away in my travel bag so I forgot to phootgraph it.